As part of running this blog chronicling my journey to financial independence I like to be open and honest with all of my transactions. Typically that revolves around buying shares of high quality companies at prices that I deem to be fair value or less, although occasionally those transactions do involve the sale of a company. Being open about the moves I make allows for better discussion with all of you and helps spread ideas around as well as letting me create my own "investing journal" to chronicle why I purchased a company in the first place and that way I can revisit if something changes and make the decision on whether to continue owning the company or not. I'm always on the search for ways to boost up the income that my portfolio can churn out each year. One such way is the use of covered calls. A covered call is when you own shares of a company and you sell the right, but not the obligation, to purchase the shares from you at a future date for an agreed upon price. Call options are a great way to generate extra income from your shares in the form of the option premium; however, it does come with the potential downside of having to sell your shares. Don't worry, we'll run through the numbers in detail with this transaction later. Target Corporation (TGT) has had its fair share of issues over the last few years. The large credit card hack. The failed expansion into Canada. The bathroom issues and subsequent boycotts. Slow expansion into online retail. During a period when very little has gone right I'm sure you'd be surprised to find out that the dividend has doubled in the last 5 years. In my book that's impressive and Target could make for an attractive investment at current prices since it's trading at over a 12% discount to my fair value. Which in hindsight makes me rethink the call option, but I'll deal with it as it comes. Yesterday I sold to open 1 September 16, 2016 call option on Target with a strike price of $71 for $0.39. In case you don't know, each option contract represents 100 shares so the option premium is calculated as $0.39 x 100 = $39.00. After commission and fees the option premium came to $31.00. So what are the different scenarios for this Target call option? Then I will get to keep my shares and keep the premium that I've already received. My return would equal the option premium($31.00) divided by the strike price ($71 x 100 shares = $7,100) = 0.44% return. Since that return would be earned in 1.5 weeks the annualized rate of return looks stellar at nearly 16%. Then I will likely have to sell 100 shares of Target at $71 per share. Now $71 isn't too far away from the share price when I sold the option, ~$70, but there's also only 1.5 weeks to see the share price climb higher. If I do have to sell my 100 shares of Target then my effective sell price would be the strike price + option premium = $71 + $0.31 = $71.31. The sale price would be 1.9% higher than the recent share price of $70. I can also buy to close the call option before the expiration date if I want to avoid losing the shares. I've soured a bit on Target, but I'm not at the point where I think it's necessary to sell right away. I'd be more than happy to hold onto my shares while Target works through their issues, but I also don't want to just completely sit idly by. So enter the call option. My main goal was to just add a bit of extra income from the position and since there's only 7 more trading days until the option expires I figured this was worth the risk of having the shares called away. If I had my say though I would just collect the premium and move on. The worst case scenario would be that I sell my shares, book some profits and have a good chunk of capital ready to invest if the markets go haywire or to deploy with other options trading methods. I'll keep you all updated on this option and any changes between now and expiration. If you're interested in utilizing options with you portfolio you can check out the Options page where I highlight all of my option trades or the Option Strategy label which does the same but also has some more in depth descriptions of the option strategies that I employ. 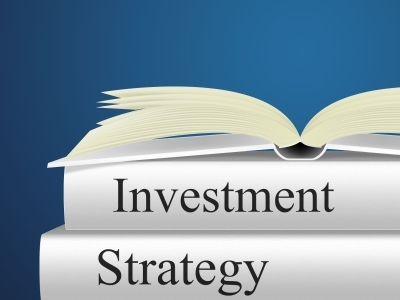 Do you utilize options within your dividend growth portfolio to generate additional income? What do you think of the call option that I put on with Target? Any guesses as to whether it finishes in the money and called away (>$71) or out of the money (<$71) and I'll get to keep the option premium as profit? The biggest risk with call options is obviously the fact that could lose those shares. Although that isn't necessarily a bad thing if you select the options right. Whenever I sell call options I typically sell longer dated and further out of the money calls to generate premium because the shorter date ones require the strike to be very close to the current price in order to generate any kind of return. But I like call options because it's a conservative route to generate some extra income and it's not like you're limited to just the one company. There's thousands of companies out there and hundreds of dividend growth companies that you can utilize the strategy on. Although I do prefer to use puts to enter positions rather than calls to exit. Look forward to learning more about options from the many bloggers that chronicle their trades. I appreciate it. Is there a minimum premium you are willing to receive for a trade? $33 doesn't sound like much for the risk. Maybe I'm not fully understanding the trade. My plan is to get a little more aggressive in the option space now that I have some free capital from my recent sale that I'll be highlighting tomorrow. Regarding the option premium I don't have an absolute $ amount rather it's more based on the return. I do want to point out that this isn't the normal kind of option trade that I'll go after. The problem is there's very little time value built into the option right now because it's such a short time until expiration. My normal plan is to sell longer dated options, typically 1-3 months until expiration, to bump up the option premium that I receive targeting a 8-12% annualized return from the option premium alone. Of course that has to be balanced with a price that you're willing to sell at. I also want to say that I don't normally sell call options primarily because it's hard to find ones on what are normally very stable companies so the premium/effective sale prices aren't normally there. It's usually much easier to find put options that will generate those kind of returns except with a purchase price that you'd be willing to buy at. Although the lack of volatility might have taken a lot of the option premium away, but it'll come back at some point.